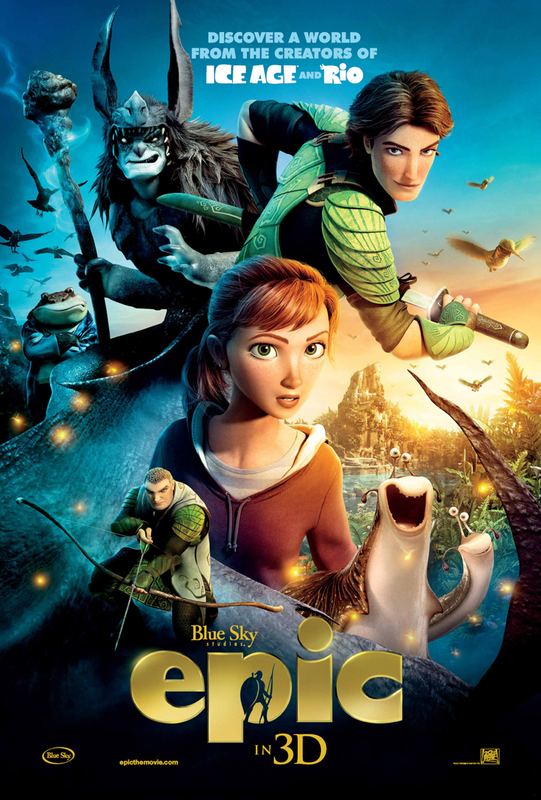 From the creators that brought you the animated film series "Ice Age" and "Rio", Blue Sky Studios and 20th Century Fox bring you yet another animated adventure movie this season, "Epic" (3D) movie is the big screen animated adaptation of a children's novel entitled, "The Leaf Men and the Brave Good Bugs." This animated movie adventure bring together the voices of the most sought after Hollywood stars from music icons to actors and actresses in their own field. Hollywood icons such as Beyonce Knowles, Steve Tyler, Colin Farrel, Josh Hutcherson, Jason Sudeikis, Pitbull, Amanda Seyfried, and Christoph Waltz glam this one epic anticipated movie this 2013! "Epic" (3D) movie follows the adventure of a teenager named Mary Katherine or M.K. a smart, spirited, and headstrong 17-year-old girl who finds herself transported into a secret forest world where a battle between good and evil is about to unfold. After returning to her childhood home to connect with her estranged father, Professor Bomba, M.K. loses her patience with his endless stories of unseen people who live in the woods. But when she is magically transported into the Leafmen’s world, she gains a new perspective. To find her way home, M.K. must do more than believe in this world -- she’ll have to help save it from destruction. 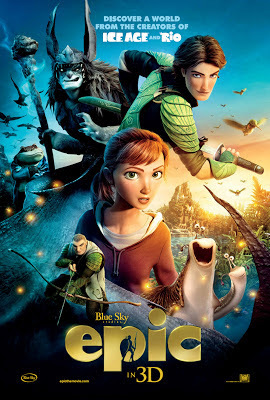 Gracing this "Epic" adventure animated movie are Beyonce Knowles as Queen Tara, Steven Tyler as Nim Galuu, Josh Hutcherson as Nod, Colin Farrel as Ronin, and Amanda Seyfried as M.K. Beautiful, agile, and strong, Tara isn’t just the Leafmen’s Queen; she’s the life force of the forest, which she presides over with respect, compassion, and humor. Her unique connection with nature gives her additional and powerful allies. And when all hope seems lost, she summons help from the most surprising of places. “Tara is the heart of the forest, personified, and she’s beloved by her people, called the Jinn,” says Beyoncé. The other man in M.K.’s life is a resident of this unseen realm, named Nod. Josh Hutcherson, who stars as the warrior Peeta Mallark in the blockbuster “The Hunger Games” trilogy, portrays Nod. Rakish and handsome, Nod is all about bucking the rules and flying solo. But his brazen individualism doesn't square with the Leafmen’s ideals of teamwork and unity, so he quits the squad. After M.K. enters his world – and when the stakes are high – Nod discovers what it takes to be a true hero. The chief force behind the darkness and destruction is the Boggans’ ruler, Mandrake played by Christoph Waltz. Gifted, or cursed, with the ability to bring destruction to anything he touches, Mandrake and his Boggan minions are the arch-nemeses of the Leafmen. Mandrake is tired of hiding in the shadows, and with his son Dagda (played by Blake Anderson) by his side, he plans the ultimate revenge – to claim the forest he believes should have always been his. Meanwhile, well-loved music icon Steven Tyler gives voice to a very affable caterpillar character named Nim Galuu is the consummate party animal, but don’t let this larger than life caterpillar fool you – his wisdom and practical know-how make him a key behind-the-scenes player in the epic battle to save the forest. "Epic" (3D) opens today, May 24, 2013 in cinemas nationwide from 20th Century Fox to be distributed by Warner Bros. The full movie trailer of "Epic" movie is seen below. Enjoy!